I’ve really struggled with how to put our thoughts on Bocas del Toro into words. The truth is, blogging about destinations is much easier when we fall in love with them–it’s a far simpler task to rave about a place than it is to discuss why you didn’t particularly like it–especially when “not particularly liking it” doesn’t mean that we hated it… just that we didn’t quite get the destination. That’s the quandary I have with Bocas del Toro: we spent almost two weeks there, and while we didn’t despise it… we didn’t really love it. Plenty of other people have waxed poetic about Bocas del Toro, though, which leaves us wondering: maybe we just didn’t get it? 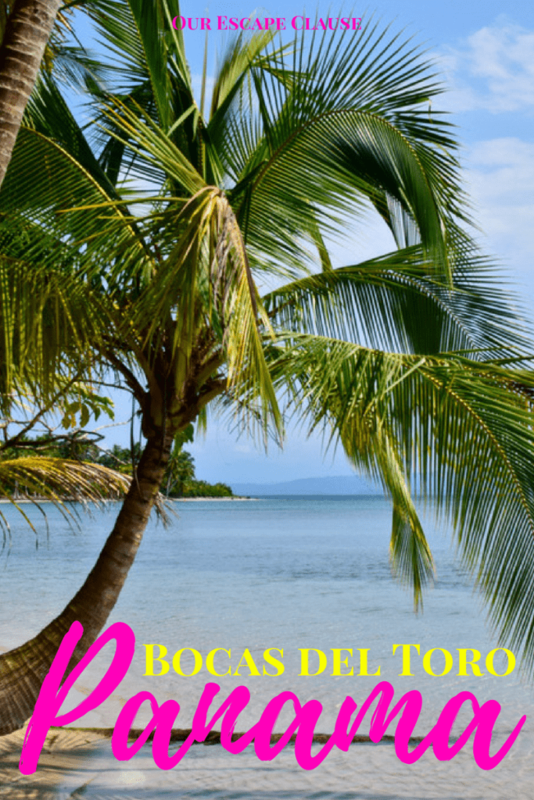 Is Bocas del Toro Worth Visiting? Bocas del Toro is a province in northeast Panama (just a couple of hours south of Puerto Viejo, Costa Rica) that is technically comprised of a small piece of the mainland and an archipelago of islands. When travelers are referring to going to Bocas del Toro, however, they typically mean that they’re headed to Isla Colón (home of “Bocas Town”, the main tourist town and the biggest population center on the islands) or Isla Bastimentos (a smaller, more rural island a quick water taxi away from Isla Colón). Most of Bocas del Toro’s best beaches are spread across less populated islands, and therefore, tours to access the different areas are very common. 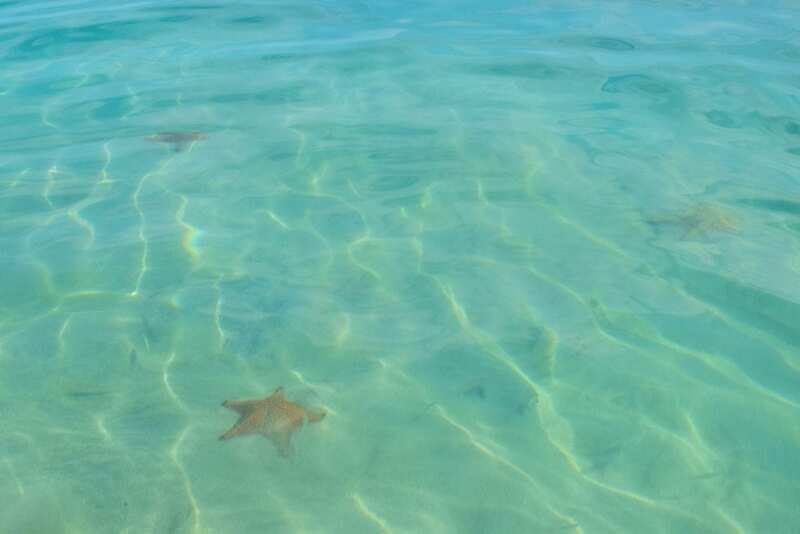 Want to see live starfish in their natural habitat? Come to Bocas del Toro! At Starfish Beach, we spent an entire afternoon swimming with dozens of starfish, who were happy to hang out under the shallow water as tourists peered at them. Just don’t be one of the jerks who picks them up despite a dozen signs begging you to look and not touch! Jeremy and I may have the tiniest sloth obsession (and penguin obsession, but that’s a story for a different day). Lo and behold, Bocas del Toro is home to a place called “Sloth Island”, which we were able to approach via boat and check out sloths in the wild! 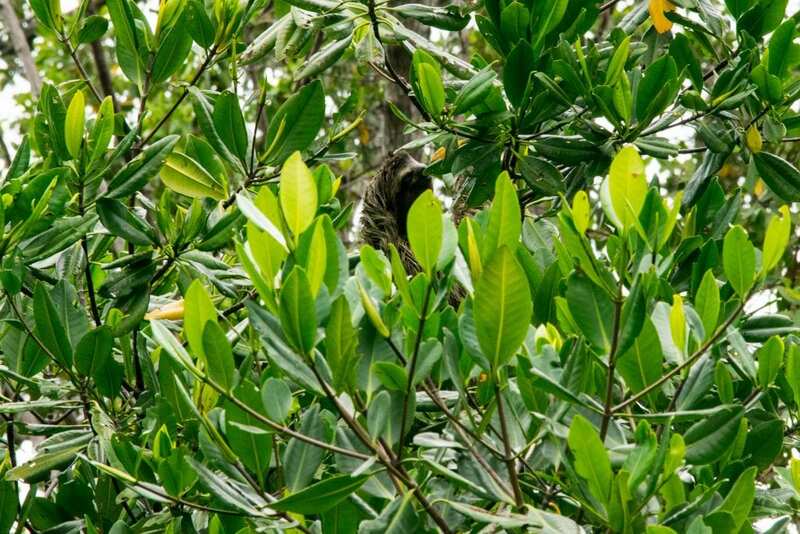 True, we couldn’t actually get on the island itself and the sloths were quite content to hang out high in the trees and far away from us–but that didn’t stop me from squealing in delight every time we spotted one (usually with the help of our guides). Deep Boarding is one of those strange, tourist-friendly sports that gets thought up when locations want an attraction of their own… and it is lots of fun. The theory is basically this: you hold onto a plastic board with both your hands, using your forearms and wrists to guide yourself up and down. You then attach this board to a boat by a piece of rope, the boat pulls you through the water… and voila! You can dive to the bottom of a (shallow) section of water and come back up fairly easily. It’s unusual, to say the least, and we’re never ones to say no to a fun new water activity–after a few minutes of getting the hang of it, we ended up having a great time during our time deep boarding. Also, be sure to wear a bathing suit that is secure: more than one woman in our group was stripped of part of her bikini during the ride! Bocas del Toro averages more than 130 inches of rainfall every year–and there is no predictable dry season. As a comparison, famously rainy Seattle gets roughly 38 inches per year! It rained on more than half of our days in Bocas del Toro, and when it was dry, 90% of the time thick clouds hung in the sky, robbing the bulk of the beauty of the Caribbean beaches the area is known for. I must admit, we didn’t really research the weather in Bocas del Toro before going, and it wouldn’t have stopped us. When backpacking through multiple countries, the weather isn’t always going to be ideal, and it’s not something we will sweat. Would we ever consider taking a more standard one-to-two-week vacation there, or suggest others do the same? Never. Why would we, when there are so many more places that give you similar experiences with more reliable weather? 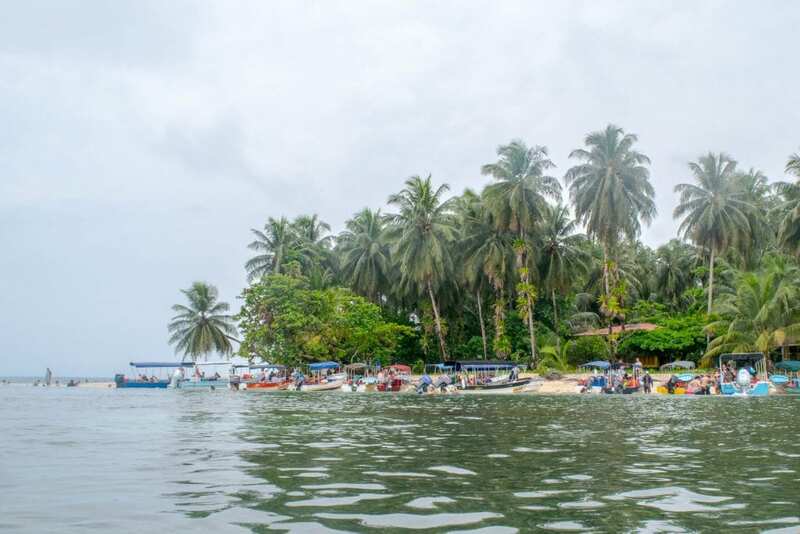 Bocas del Toro is not really a walkable place: wherever you choose to stay, likely only a handful of attractions (if that) will be within walking distance–and most are a boat ride away. We stayed in Bocas Town, the most populated, connected area… and other than one small beach, none of the natural attractions were within easy reach. We did, however, have easy access to plenty of water taxis to get around, tour companies to book from, restaurants and grocery stores for food, as well as souvenir shops if we wanted them–not all of which were readily available to people who stayed further out of town and closer to some of the natural highlights (which were themselves spread out). While we’re glad that we saw Bocas del Toro and really enjoyed aspects of our time there (looking at you, sloth island and rare sunny weather)–we can say pretty firmly that we don’t plan to go back. 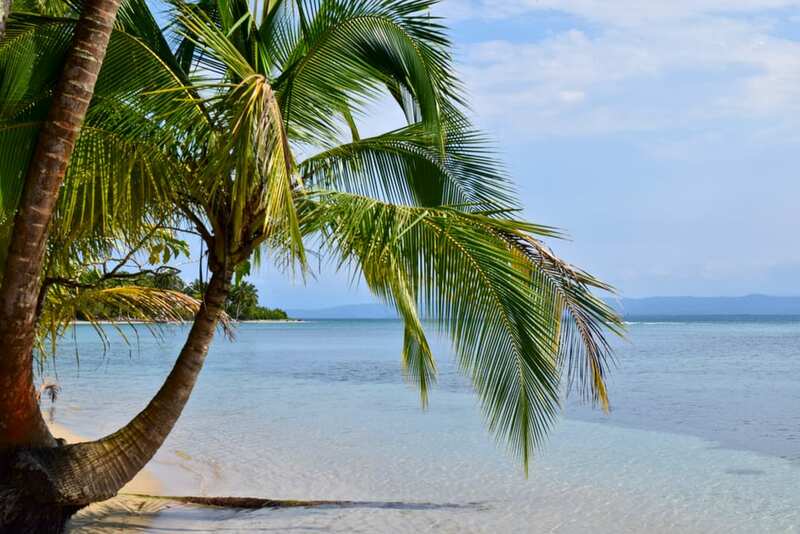 With literally hundreds of other locations to consider in Latin America and the Caribbean, Bocas del Toro just didn’t manage to grab us the way that beach locations like San Juan del Sur, Nicaragua, Isla Holbox, Mexico, and Utila, Honduras grabbed us during this trip… or how we hope spots like Little Corn Island, Nicaragua or even other destinations in Panama might grab us in the future. It’s hard not to feel biased, though, making that call (which of course all people inherently are): would we have come to the same conclusion if we had lucked out and the sun shined every day we were in Bocas del Toro? Considering how much our moods are impacted by the weather, it’s a fair question. What about if Bocas del Toro was one of our first stops in Central America instead of one of our last? Or if we stayed right on a beach, access to food and tours be damned, and soaked in the natural beauty of the place? It’s impossible to say. I would never make the judgment of saying, then, “backpackers should totally skip Bocas del Toro!”… because there are a lot of reasons that backpackers might decide Bocas del Toro is worth visiting, including as part of a longer Panama trip that builds in stops to places to like the San Blas Islands and Boquete. For standalone vacations, though, that are short and only include one or two destinations? Well… personally, knowing the weather in Bocas del Toro, we can quite confidently say that we wouldn’t feel comfortable taking the risk. Bocas Condos & Rentals — Other than the fact that the location wasn’t perfect (which no place in Bocas del Toro is), we were completely satisfied with our studio–the kitchen was well-stocked, the apartment was kept very clean, we were within easy walking distance to the restaurants/shops/tour operators of Bocas Town, and the a/c worked very well. We definitely wouldn’t hesitate to recommend this place to anyone passing through Bocas Town! Great to read your honest thoughts. The photos you posted from when it was sunny make it look amazing, though. Thanks, Jenna! When the sun came out, the beaches were definitely wonderful. When were you there? Was it in late June? Also, I am wondering how many days you were there? Hi, Kimberly! 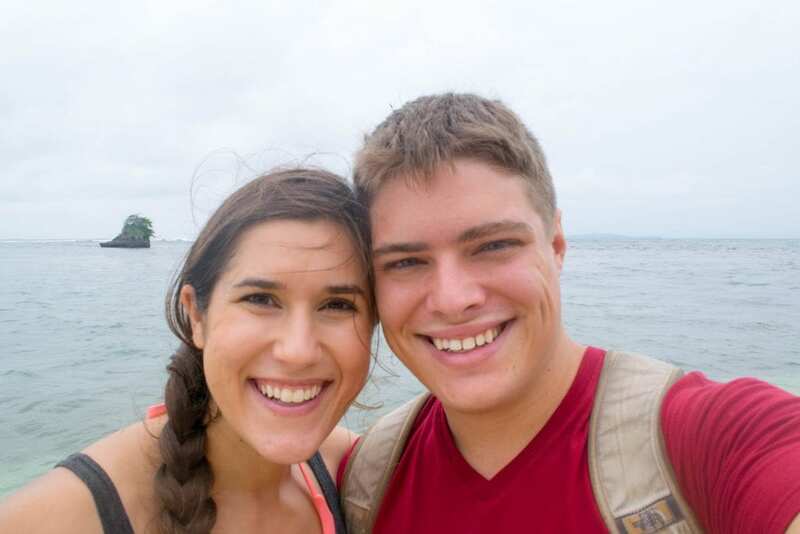 We were in Bocas del Toro for just under 2 weeks in April of last year. We went to Turks & Caicos in May. It was the most beautiful water. I highly recommend y’all go! It looks amazing! We haven’t done many Caribbean islands yet, but we’d love to see more in the future. Thank you for your honest review! I always appreciate honest blog posts about far off destinations. Oh, man, this is my favorite place in the world. I know that’s saying a lot, but it is. I really DO NOT LIKE Bocas Town, or Isla Colon (commonly called by either name). I haven’t been for quite a few years, so it may have changed, but when I was there it was always kind of dirty and a bit seedy, IMHO. If you’re looking to party, that’s the island to be on. But if you’re looking to soak up the beauty of the islands and the water, don’t stay there. Look around for another island and a place that meets your preferences and budget and ENJOY! Undoubtedly, sunny days cannot be beat, but for me, even a rainy day on Isla Carrenero, which is where I’ve always stayed, eating good food that I didn’t have to cook, looking out at the water, reading a book, playing with the dog, chatting with the nice owners … eating some more good food … playing cards with whoever’s there … is real close to heaven. I loved the Bocas, though time of year you visit is super important. September/October and Jan/Feb have the best weather. Very similar to Hawaii where it rains once or twice per day. It’s a tough spot to visit if you are on a tight budget. A luxury style vacation is the best way, especially since it’s SO much cheaper than other locations. We stayed in a 2 bedroom over the water eco villa in Dolphin Bay on Isle Cristobal. It was 400 per night including a private chef, and we split it with another family member and stayed for a week. We had a mile long reef out our back door with 4x the amount of starfish you will see at starfish beach. Mana rays, giant conch, barracuda, 20 different species of coral and dolphins that swim right by the back deck every morning made it a magical experience. The howler monkeys and sloth were in our front yard as well, didn’t have to go anywhere to see all that Bocas has to offer. That being said, we had our own water taxi that took us where we wanted to go whenever we wanted to go. We enjoyed Zapatillas, Red Frog, the chocolate farm, and Boca Del Drago at our own pace. Our tour guide knew the best spots and times so we’d beat the crowds and didn’t have to worry about the weather. We caught our own dinner a couple times too! To have the same type of vacation in the British Virgin Islands, Turks, or even Hawaii would be 2x (or more!) the cost. The abudance of wildlife is unparalled because there aren’t that many people on the outer islands. I would not have enjoyed your vacation either, I don’t care for Bocas Town. We typically do budget vacations but Bocas is much more enjoyable when you spend the $$s. Agree with Kate. We are staying at Popas Paradise with a private sandy beach, pool, great food, and love it. The snorkeling is some of the best we’ve done as is the relaxing. It has gained a few times then the sun comes back out. I prefer some rain to relentless sun. The charm of only traveling to small island installments by boat is very cool as well. Liz, can I get the name of that place on Dolphin Bay? I’d like the name of the place you stayed. That vacation sounds like the style of travel my wife and I like. Would love to hear more about that vacation. Bocas del Toro has lots to offer. No doubt it is in a rain forest so plan on having some rainy days. We love it for its unspoiled natural beauty, nice people, laid back lifestyle. Great waves for surfers, clear water for diving and some of the nicest unspoiled beaches I have ever seen. Bring a book to read when it rains but have your bathing suit close by for those incredible sunny days! The next time we personally hit up Caribbean islands in Panama, we’re pretty certain we’ll head to the San Blas Islands, which we are incredibly excited to see one day! what time of year did you travel there?? We were there for about 2 weeks in late April 2017. We just went to Bocas Del Toro this past December, and I do get what you mean about not loving it. While we loved spending time together as a family and enjoying the gorgeous untouched scenery, it wasn’t a place we felt too sad about leaving. We stayed 3 nights and felt that 2 would’ve been perfect as we did luck out on fantastic weather. Next go down to the Pacific side and check out Isla Palenque! We just may do that! We loved most of our Pacific Coast spots in Mexico & Central America–there’s so much wild beauty on that side. Just came across this post and to be honest I’m quite surprised. Last year I spent 3.5 months in Bocas, when originally I was only supposed to stay 33-days. For me, Bocas was paradise! On one side, there’s a beautiful island with tons to do. Surfing, ATV riding, fishing, diving, ect., but it sounds to me like you’ve might have been duped by the locals trying to make a quick buck and sell you on tours. The thing with Bocas is you need to know where to look. My daily routine was not the hot tourist spots, but the places off the beaten path. One Love Crepes and Coffee, Paunch for an morning/afternoon surf, and Munchies for dinner. If you act like a tourist in these types of places, you’ll be treated like a tourist. If you’re there for the culture and open to the people, then you’ll figure out that there’s much more beneath the surface. I too have traveled all over the world. Bocas is in my Top 3. Ps. Learn to surf, and it will make these island towns a lot more enjoyable. I’m glad you liked it, Kyle! 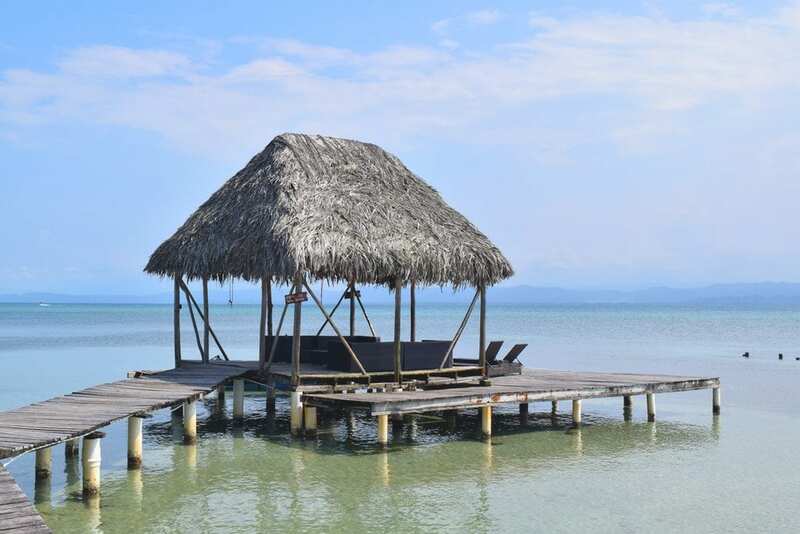 Bocas wouldn’t even make our top 50, but that’s part of the beauty of travel–we don’t all like the same places, which is ultimately great for spreading the crowds a bit. Hope you continue to have the chance to return to a place you clearly enjoy! I spent two years (2016, 2017), from Jan/Feb through July/August in Bocas del Toro for volunteer related services. But, I also traveled throughout Panama to the other regions with their own different climates as well. Panama is very different from Costa Rica as it still retains it’s natives’ cultures. But their beaches and waters have absolutely no comparison to many other Caribbean Islands, Thailand, Maldives, etc. 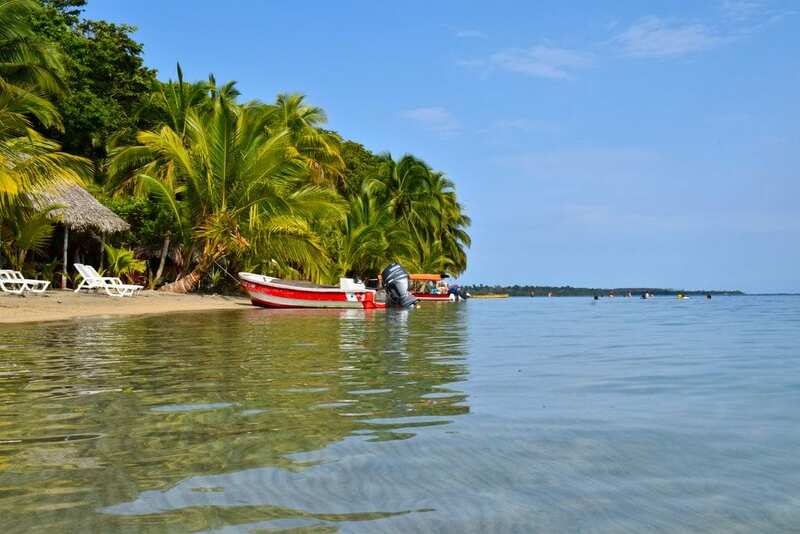 Bocas del Toro has ecologically thriving mangroves, coral reef colonies, and uninhabited secure land designated to parks/reserves. Unfortunately, but also necessary, it is very expensive to stay in the areas with this total raw beauty. Interesting perspective, Donna. I can’t say I found Bocas del Toro that expensive–actually found it a bit more affordable than Costa Rica, for a nearby example–but the mangroves and reefs certainly are beautiful. I whole heartily agree with your assessment, however you left out Dolphin Bay which is only accessible by those water taxis on a day tour. The snorkeling wasn’t all that good with the tide constantly moving through the islands, but I could have touched a Ray if I didn’t know better, and the biggest surprise other than the food on Bocas Town’s nearest island (Isla Carenero), which Bocas Beach Club was phenominal, was just a short walk towards the surfing areas nearby was nearly tripping on a Sloth as it went to feed on a tiny shrub along the waters edge. I would have loved to have seen that sloth up close!! Thanks for sharing your thoughts, Graham! so in a nutshell your disappointment came from the mistake of booking a two week vacation in a far away remote place that should have only been a two day excursion OR side trip in a country where there was so much more to see. No. But thanks for your thoughts.